A few years ago, I used to post photos on my Facebook account of some of my favourite things. I'd usually post once a month and it might be products, people, designs, etc. I thought I'd start that again. I made myself breakfast yesterday and I have to combine 4 (5 if you count cleaning) of my favourite things in this one instance! 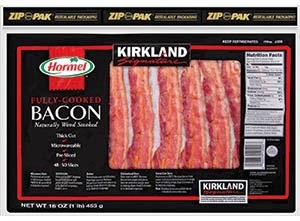 1) Hormel's Pre-Cooked Bacon - we get this from Costco, keep it in our freezer, and it's so hand for sandwiches, breakfast, salads, etc. Pop a few pieces into the microwave for 30 seconds and it's great (little to no fat) bacon without the grease spots on your stovetop! 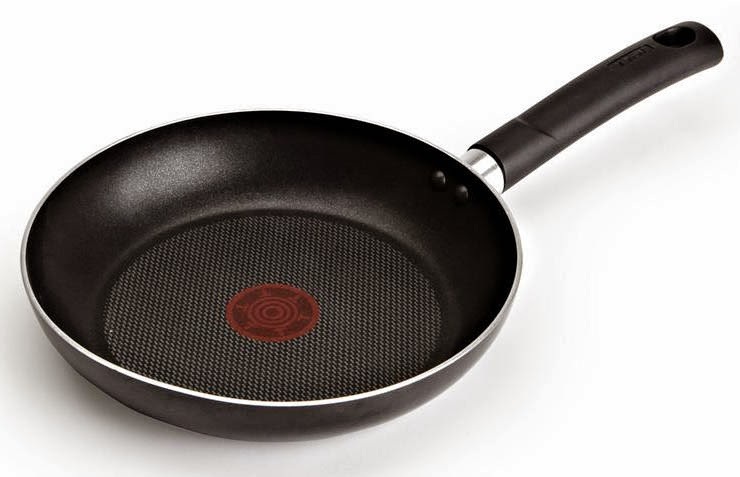 2) T-Fal's Non-Stick Pan - I love nonstick! Anything that makes my life easier deserves a thumbs up! I have a large pan and a smaller one I was using for eggs in this particular instance. 3) Epicure's Smoky Bacon Topper - this product is only seasonally available in the summer but it is one of my biggest sellers. I love it in eggs, mashed potatoes, baked potatoes, casseroles, and much more! I always have this on hand. 4) Epicure's Silicone Corner Spatula - I LOVE this thing! It was amazing at eggs. Usually I use one I got from my grandma but this spatula hugs the corners of my pan and it made clean up a breeze! 5) Norwex's SpiriSponge - Look this scrubber up! It's awesome! Did I mention before that I sell Epicure? It's a wonderful Canadian company that focuses on healthy cooking and eating. They're focusing on providing healthy food options to Canadians. They have amazing cookware as well (I love their non-stick pan too ha ha). 4) Pulled Pork Seasoning - by far my biggest seller! 5) Chipotle, Bacon & Cheddar Dip Mix - great if you like spicy! What do you think?? It's made of one 20" x WOF piece of strong home decor fabric (1/2 yard plus a 2" x WOF ties). 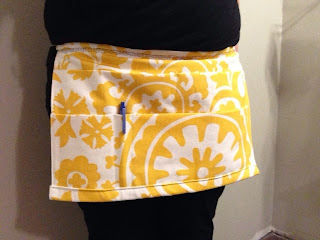 This would probably be easier with regular cotton but I wanted a sturdy apron for the theatre. I run a Scrapbooking and Quilting retreat every year in Tilley and I try to give away a few things to the ladies that come. 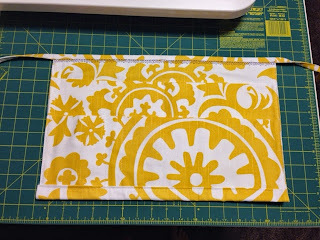 In the past, we've done reusable shopping bags by Baggu, various fabric, organizers, etc. This year, I tried something different. I figured it wouldn't be too hard after watching this tutorial by my new favourite YouTube Channel: The Sorry Girls! (Love that they're Canadian too). I didn't take photos of the process but I'll do my best to explain how I made 60 (yes SIXTY) of these Mason Jar Tumblers! 1) I washed all my jars, jar rims, and straws in my dishwasher on a sanitizing cycle (I didn't wash my lids at the same time). 2) I took my lids to my sister's house and my brother-in-law drilled all the holes. I only gave him the lids. I suggested that he drill them on top of a wood piece (like the YouTube tutorial). He did all the work for me (Thanks a ton!!). 3) Some of the edges of the holes were jagged so I tried to trim them as much as I could but I used tin snips that I read about in another tutorial but they were super awkward to use and didn't work very well at all. I trimmed as much as I could. 4) Trying to make everything as smooth as possible, I decided to take my lids down to my basement, put the lids one-by-one down on the concrete and hit them with my hammer a few times to make everything flat. I couldn't believe it but it worked out great! On my next round, I'm going to try a different bit that my dad said would work well... we'll see :). 5) After the lids were all smooth, I washed these in the dishwasher. 6) When they were all dry, I put in the grommets which was easy once I got in a groove... and after I had done about 10, I was like a pro! 7) I let the ladies choose whether they wanted the bent or straight straws and I let them choose a paper straw for fun. I'm seriously neglecting my blogging duties. My bad! In a perfect world, my house would be clean, my son would be well-behaved, my husband would put his dirty socks in the laundry basket, I'd have a new car, money wouldn't be an issue, and I'd post here more often. Well, maybe I can get one of those things to happen... starting now by blogging on my phone ;). Anyway, I'm just popping in to say hi, hope you are enjoying your summer, and taking time to rest. I'm a member of the Prairie Patchers Quilt Guild out of Brooks, AB. My sister and my mom are members too and my cousin-in-law will be joining in September which will be nice because there aren't a lot of "younger" members yet but we're making waves! I just finished my 3rd Quilt. I started quilting in January last year just after my son was born. I started with a Disappearing 9-Patch quilt you can check out here. Then I moved on to a Jelly Roll Race Quilt you can see here. I finished my Charm Pack Cherry Quilt on Monday night and it's from a FREE pattern from the Fat Quarter Shop. They even have a great YouTube video tutorial. My version can be seen here. I used a super soft red minky on the back. I hope my little one will love this quilt. At bible study, one of the ladies brought bruschetta from Costco! I loved it!! I finally found it for myself and last night while picking up a few groceries, I found Kashi's Sea Salt PITA Crisps. Together the combination is magical. This will be my go-to snack for sure! I have been a member of Weight Watchers for a while and if I ever do a food/snack suggestion or review, I'll try to add the Weight Watchers Points Plus Value for the items. According to the Kashi Box Label, the PITA Crisps have a PPV of 2 for 7 Crisps. I've toyed around with starting a blog for years and I'm finally going to commit to it. I hope to do some product reviews, mommy-talk, craft projects, and basically whatever else comes up.